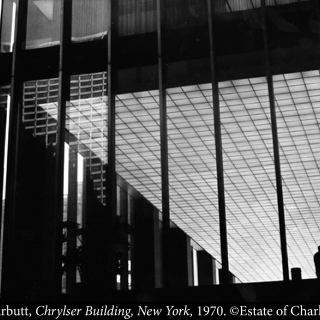 Charles Harbutt’s photographs have been widely collected and exhibited internationally at the Museum of Modern Art, the Whitney Museum, the Art Institute of Chicago, the Corcoran Gallery and at the Beaubourg, the Bibliotheque Nationale and the Maison Européenne de la Photographie in Paris, and many more. He has had large recent exhibitions at Perpignan (2004), New York (2006), and Manila (2008). In 2009, he participated in group shows at the Vienna Museum, the Moderna Museet in Stockholm, the Bibliotheque Nationale in Paris, and at the Arles Festival. He has been guest artist for a year each at the Rhode Island School of Design, MIT, and the Art Institute of Chicago. He also taught at Cooper Union, Parsons, Pratt Institute, Bard College, and in numerous workshops in the U.S. and abroad. At the time of his passing, he was an associate professor at Parsons, the New School for Design. For the first twenty years of his photographic life, Charles Harbutt was a photojournalist, working mostly through Magnum Photos (of which he was twice president) for magazines in Europe, Japan, and the United States. Since 1980, he had pursued more personal interests, an extension of the boundaries of journalism into the realm of the everyday.